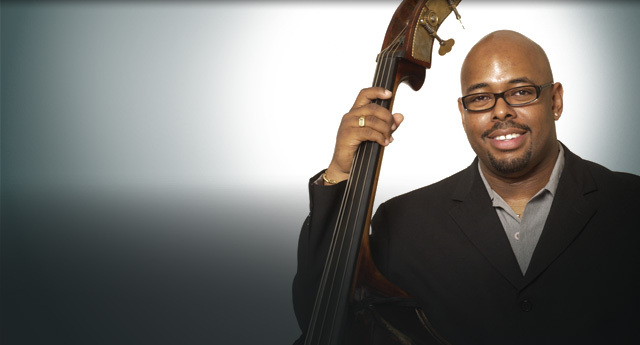 Christian McBride is a trailblazer. Having been in the music game for over 20 years he has played alongside legendary greats such as Freddie Hubbard, Sonny Rollins, Herbie Hancock, McCoy Tyner, Sting and has arranged for Chaka Khan, Lalah Hathaway, Natalie Cole and a host of other artists and musicians. The three-time Grammy-Award winner is best known for his energy while composing, recording and performing. He is also no stranger to topics such as racism, activism, and Civil Rights. In 1998 McBride composed “The Movement Revisited” which is dedicated to Malcolm X, Rosa Parks, Dr. Martin Luther King, Jr. and Muhammad Ali. Currently, he is the leader of four groups Inside Straight. 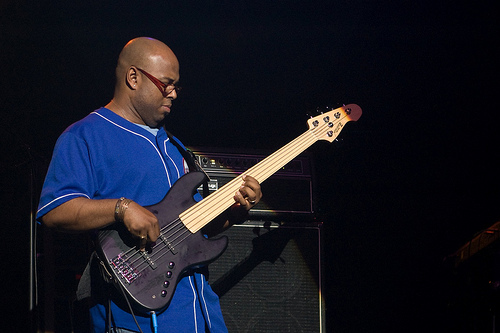 iRock Jazz, had the privilege of talking to Christian McBride about his musical journey, his affection for the Civil Rights Movement, his music today and balance within his life. iRJ: Great jazz artists or great musicians are creating music of their time based on their experience – the music that you’re creating there are subconscious subliminal messages what is the theme of your music? CM: As far as my own personal path and where I am on this journey, the music that I’m playing now is fulfilling a spot that I felt had gone unmanned for a little while and that was the part of my musical life where playing acoustic straight ahead jazz – for most of the 2000s; between 2000 and 2010, almost all of that I was doing – you have the Philadelphia Experiment, I was playing with Sting, I was playing with Pat Metheny, I was playing with Chick Corea, John McLaughlin and the five-piece band and then my own band – the Christian McBride Band. All of those brands were hybrid bands – they were part acoustic, part electric, part jazz, part fusion, some funk; whatever the case may be there was a lot of volume involved. So that’s the reason why I put together Inside Straight and it seemed to be the right move on a lot of levels because our first CD Kind of Brown was pretty successful. The band has been working for the past five years so it really seemed like – not only was I missing that straight ahead thing but [it] seems like a lot of my fans were as well. So it seemed like the right move on a lot of levels and the new Inside Straight CD was released today and I have a new trio CD coming out in August, so I’m excited about both of these projects, however, I do see myself within the next year or two – maybe year and a half I am going to get back to playing some electric music with one of my own projects because now I’m starting to miss that [laughs]. iRJ: Talking about Inside Straight a little bit – I noticed many of the songs on the album are about a level of activism, “Ms. Angelou” “Listen to the Heroes Cry”, “Fair Hope Theme”, all of these things now have subliminal messages was that done deliberately? CM: You know, it was not – somebody else mentioned that to me; “Listen to the Heroes Cry”, “Ms. Angelou”, “The Movement, Revisited”, and I guess something that’s always been deeply a part of my life is the Civil Rights Movement and the people involved. When I was a kid one of the first things I learned about was the Civil Rights Movement and all of those names, all of those images that they stuck in my head as a kid, so I guess that everything I was raised to believe somehow ties in to that, even the music because when I think of the music that I grew up listening to – all of my mother’s James Brown records, all of my mother’s Marvin Gaye records, Nina Simone, Abbey Lincoln, Max Roach even Duke Ellington. I mean they were somehow all tied in to the social and political struggle going on at that time, so I was always made to believe that somehow the music should help not just mirror the social climate but it should help to propel and elevate the social climate. One of the little issues I’ve always had with hip-hop is that when you hear rap or we hear hip-hop that’s profane and the rapper says, ‘We’re just mirroring what we see on the streets’, well that’s only half the job – the other half of the job is to help fix what’s on the street. Anything I’ve ever written or anything I’ve ever composed, maybe there is some subliminal tie-in to all of that. iRJ: You are the bass player to watch, when you think about all of the acclaim that you receive, what do you think your real strengths are and do people really see that and what are your weaknesses as a player? CM: I have a lot of weaknesses, I think it’s wise as a human being to really try to keep aware of your weaknesses at all times because you really want to try to be better as a human being because as you become better as a human being it all ties in to your profession, it all ties in to your artistry, it all ties in to whatever you’re trying to do. There are a lot of things I would like to get better at – as a player. I would like to find a better balance between playing acoustic and playing electric bass so my level of expression is at ease on each instrument. See what happens, the electric bass, I need a few gigs – because I play it all of the time here at home but I don’t usually play it on a gig so when I get on a gig I always have this little voice in the back of my brain going, ‘They’re watching you, they don’t think you can probably play the electric bass because they’re used to seeing you as an acoustic bass player, so you better play as great as you possibly can’. So all of this stuff gets in my head and I can’t concentrate on just playing the instrument. I get paranoid about playing the electric bass. I get paranoid about writing new music because I think there are so many great composers out there. I need to learn how to stay out of my own way and just create. I think that is a human weakness that just manifests itself in my playing. I think my strength comes when I’m not thinking about that when I’m feeling completely comfortable and I can just create – I can just go for things. iRJ: Many of the young people now are emulating some of the greats and they’re not playing their own music which means the music isn’t distinctive anymore. You as a bass player, can you listen and tell the difference between say, Ron Carter, Esperanza or Victor Wooten? CM: This is the music that we live with, this is the music that we study, this is the music that we get deep inside of – to try to find these resources to help us be better artists. I think most musicians who are deep inside the music could probably tell the difference between a certain group of musicians that play the same instrument as them. Me, I like to think that I would be pretty good at recognizing most of my heroes anytime I hear them on a recording. I think I know Ron Carter’s style well enough to be able to pick him out 8 out of 10 times, same with Ray Brown, or Jaco Pastorius, or Paul Chambers, or Oscar Pettiford, or Bootsy Collins, or Marcus Miller. 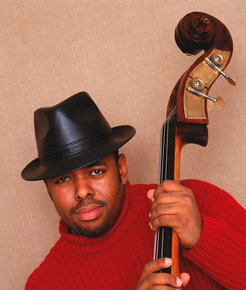 I didn’t spend as much time with Victor Wooten as I did say with Marcus Miller or Jaco Pastorius. I think I would know Victor may 5 out of 10 times. Those bass players that I mentioned before, I think I would be pretty good at recognizing them. iRJ: What is your advice for up and coming musicians to survive in this climate of the ever changing record labels, the social media and technology – how do they survive? CM: It’s the wild-west now when it comes to selling your music and it comes to creating your own space out there in the world. I think my piece of advice is there’s no idea that is too far-fetched as long as it’s positive, as long as you don’t do nothing that is crazy or nutty. Think out of the box, use the internet to your advantage as much as you can and be as creative as possible. Also, take care of your instrument first because I think sometimes a lot of young musicians tend to put the cart before the horse, they’re worried about selling their music – how to get it out there but they’re not worried about necessarily how to make their music better. Get your music better first before you’re worried about putting it out there. No matter what kind of musician you are if you’re a young and up and coming hip-hop artist or if you’re a young up and coming R&B or country or gospel, rock n’ roll, classical, whatever it is you want to do an apprenticeship is the most important thing in the world. And I’ve always found it interesting that I find young jazz musicians – say there’s a 20-year old trumpet player coming out of college he or she right away wants to start their own band and it’s like, ‘Why do you want to do that’? If I was a trumpet player, I would go track down Terence Blanchard, if I’m a bass player I’d go track down Ron Carter. Seek out some advice from your elders – no matter what genre you’re in, it’s not that important to get out there on your own right away. iRJ: Do you have any other aspirations outside of music that is really important to you that you’d like to share? CM:I do my very best to stay up on top of what’s going on in the world in politics because I find that its hostile out there man, it bothers me that there’s such a hard dividing line between Democrats and Republicans or right-wingers and the left-wingers and the pro and the con – it just seems like everybody is intensely angry and sensitive about things. I’m always trying to keep abreast about social issues – I certainly still love my sports I try to play as much sports as I can – I play on the musician’s union softball team so it’s important for me to always have some sort of balance. It can’t be all about chord changes all day long [laughs]. 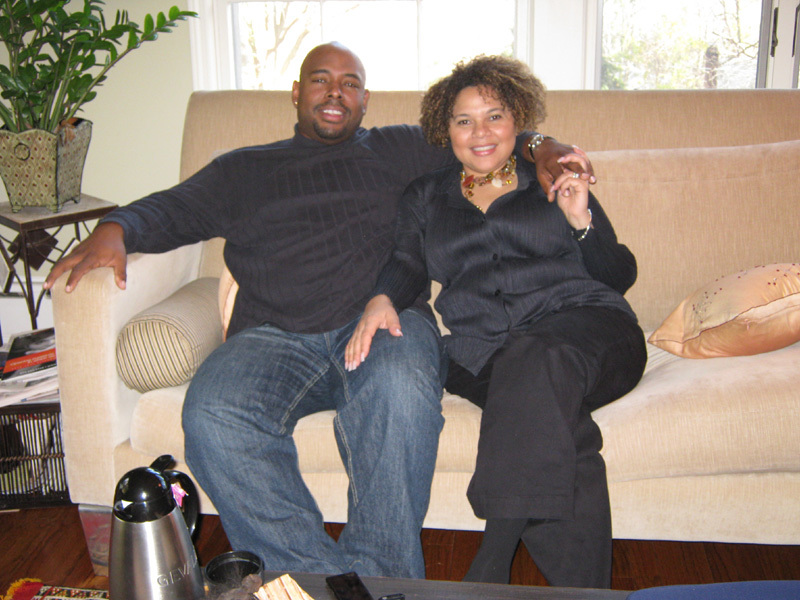 Whether Christian McBride is playing sports, playing the bass, composing, or relaxing with is family, we can be rest assured that he is 100% committed and in it all the way…that’s where he finds his balance.